Good times in Boulder County and in Colorado will continue said local economic experts at the recent Boulder Economic Forecast. But they caution that 2018 may not reach the heights of 2017, and the difficulties could impact us well beyond next year. 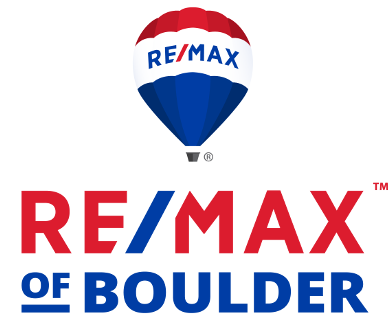 Organized by the Boulder Chamber and the Boulder Economic Council, the 11th annual Boulder Economic Forecast was held on January 17 at the new Embassy Suites Hotel, and RE/MAX of Boulder was among the event’s sponsors. “By almost every economic indicator we measure, 2017 was an historic year,” says Executive Director of the Boulder Economic Council Clif Harald in his opening remarks. Statistics show a superlative year. Colorado ranked third in the country for the pace of GDP growth, while unemployment dropped to 2.5 percent, the second-lowest rate nationally. The state’s labor force soared with the fastest growth rate in the U.S., according to speaker Rich Wobbekind, Executive Director, Business Research Division, Leeds School of Business, CU-Boulder. But, Harald noted that 2017 presented challenges, too. And, these challenges could escalate in the coming years. He pointed to constraints for Boulder’s economy, including a shortage of labor and resources and high housing costs that cause long commutes for many Boulder County workers. While job growth in Boulder County continued in 2017, the pace slowed from the peak of 2014-15. “Almost every industry sector reported lack of available labor or properly trained labor. This doesn’t go away,” Wobbekind says. And chief among the factors impacting Boulder County: age. Colorado State Demographer Elizabeth Garner says residents 65-and-older will represent 20 percent of residents by 2030. The 65+ group will be 77 percent larger than it was in 2015. “We are aging fast,” says Garner, noting that the age wave will overtake the entire state. Garner explains that demographics – and the age wave beginning to sweep the state – are an economic issue. As people retire, aging results in a labor shortage. When people choose to age in place, housing stock for people moving in or moving up is negatively impacted. Aging also impacts healthcare and public financing issues. At the same time, those migrating here are typically ages 20-27 and never married. Total household income is below $50,000 for 80 percent; 65 percent earn less than $24,000. People move to Colorado for the jobs. But, Garner cautions, the biggest increase in jobs are those that are low- to medium- wage, while the cost of living is relatively high. The highest income and spending group – 45- to 65- year-olds – is the smallest demographic in the state and in Boulder County. It also has the slowest growth rate and the numbers are declining. In addition, diversity will increase as the Hispanic population is projected to grow from the current 20 percent to 30 percent by 2040. Garner says Colorado’s population has increased by 578,000 since 2010, making it the eighth highest state in the U.S. for total growth. Boulder County’s growth rate is the second lowest statewide. The population in-migration peaked in the 1990s. Garner notes that students move to Boulder for college, leave after graduation, then return, and then leave again. One key reason: As a young adult it’s hard to live, buy, and rent in Boulder. Now, fewer young families live in Boulder, and the tide has shifted toward a higher number of deaths than births. But the dynamics of Boulder County’s economy are strong, outperforming state and national economies in job growth and educational attainment. Boulder County, though, has well-supported economic vitality, fueled by high concentrations of companies and employment in aerospace, biotechnology, cleantech, and information, according to Wobbekind. The area’s high quality of life and business, and cultural and outdoor attractions appeal to a highly educated workforce and visionary entrepreneurs. Incomes are above average. The median household income for Boulder County residents was $74,615 in 2016 compared to $65,685 for Colorado residents, according to data from the U.S. Census Bureau. But Garner cautions that Colorado’s housing affordability is a big concern. The disparity between median home value and median income is the second-highest in the U.S., which fuels the labor shortage and decreases the ability for young families to live here.  Originally posted here by Jay Kalinski Owner/Broker RE/MAX of Boulder on Tuesday, January 30th, 2018 at 10:19am.